At OSI we strive hard to cloud-based enabled services on board to help them in easily reaching their targets and function towards earning good revenues and reputation. Cloud computing can create a technological revolution for your small venture, offering access to various capabilities that only big companies can afford. With the help of a web browser and internet connection, any small venture can tap into software services as they do require them and can pay for a monthly basis. Your business can be asked to join the cloud to access all data for managing the customer relationships. 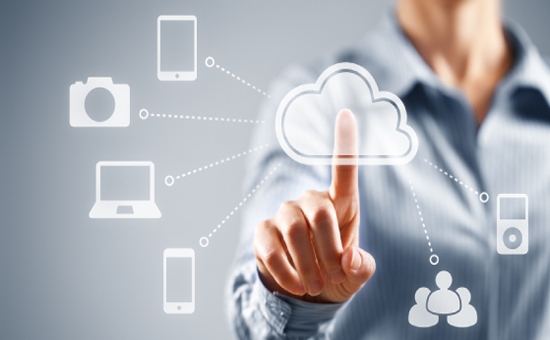 OSI can help in customizing the cloud solutions as per the requirement of your venture. Our cloud based services can allow you to choose options from many to work at ease at your work places. The services can range from impromptu meetings with the robust video, web conferences, instant messaging applications and audio capabilities At OSI we strive hard to cloud-based enabled services on board to help them in easily reaching their targets and function towards earning good revenues and reputation. Cloud-based services resources are quite elastic or scalable and allows users to tap funds to handle busy schedules and support growth. One of the challenging aspects for running any small company is the prediction of resources for every business desires to take advantage of opportunities and enough to scale. The cloud-based services can help you in saving your money at various fronts comprising of cooling and power cost, server maintenance, software licensing and expenses upgradation. Rather than spending money on maintaining hardware that remains unused for years subscribing to software and the other services for just a small monthly fee can help various small businesses to stretch their budget further. If you are one such venture, who don't have resources or time for implementation of backup strategy the cloud resources makes sure that you can retrieve the latest versions in case of any failure or disaster in the online system. With the help of cloud-based service you can back up your data automatically or frequently to any safe location. Cloud-based services are considered to be quite reliable as compared to the services delivered on-premise if the hardware or servers are found aging. The cloud service providers do have a dedicated, experienced IT staff, and they can look forward to resolving any issues related to small IT ventures with limited IT resources. Cloud-based programs are used with any device with a proper internet connection leading to great collaborations for businesses with remote employees. Using cloud-based software, various teams which are located at different destinations can collaborate with the documents without any requirement of e-mail attachments and sharing of tasks and calendars from wherever they are working. The participants can sign up for the services and can provide access through the internet without installing or downloading the program software. With the servers that are located off-site and have their control being left to any experienced provider cloud computing allows you to focus on other areas like running your own business. The cloud resources can be accessed when required, and they take the time also shrinks from days to a few minutes. For stretching the small companies and being more competitive, the cloud is must nowadays.